How to make a cat video. To raise awareness for cancer, the Truth campaign went for the angle closest to everyones hearts, internet cat. How? By making a cat video on how to be a famous cat, with the pitfalls of doing so. The first few steps are easy, just getting a cat and recording the cute that occurs. If the cat becomes famous, there might be talk shows and demands of organic milk. But with great reward comes great responsibility as they say. If you become overwelmed by the internet sensation your cats become, Truth warns about the "Catmaggedon" that could occur. All of the internet famous cats get cancer from pet owners who stressfully smoke is the message. With the cat of course. Our first and one of the most exciting steps was drawing the cat. By far a favorite studio moment for our artists. 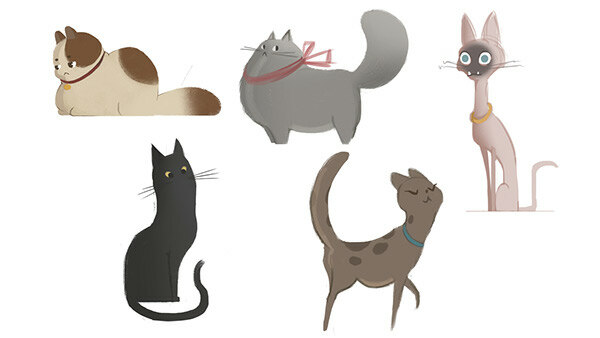 At first, we pictured very french kitties becoming internet superstars that would knock even Kim Kardashian off her follower pedestal. But thinking deeper about it, it occurred to us that it isn'ts just french cats that are in danger. In talking with our client, we needed something more bold that would stand out and match the graphic language of FXX. Illustratively this opened it up to somethinng much more graphic, colorful, and very cute. 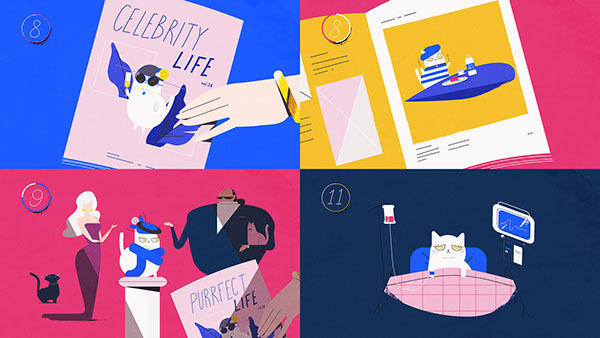 Once we narrowed down the look and language of our plump, cute and graphic cat, we were tasked with building the illustrative world that supported it's rise to fame. 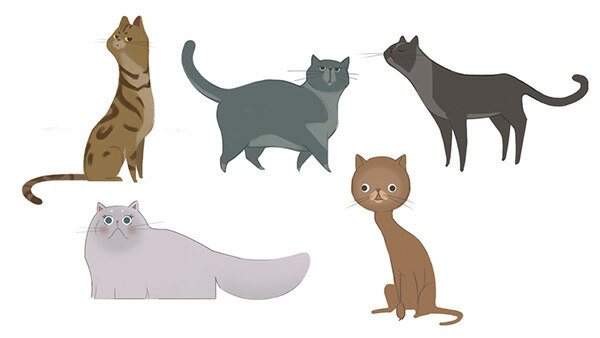 The challenge was that we needed to get through quite a few steps to show the cats rise and fall in a short amount of time visually. What this meant was that each 'step' and scene needed to read really quickly and clearly. To accomodate that read, our graphic strategy was to be as minimal but as charming as possible. A table top for instance didn't need an entire room, but more just a table setting and some milk. 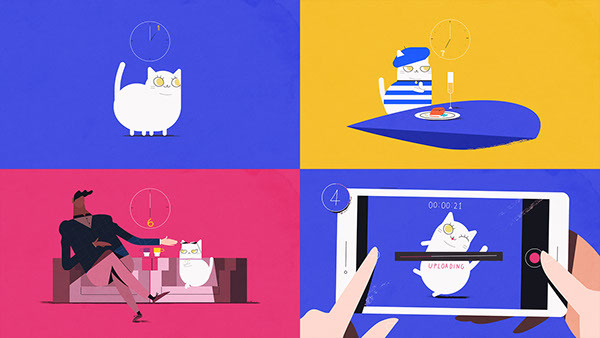 The Truth campaign presents a short animation on how to make a cat video. The first few steps are easy, just getting a cat and recording the cute that occurs. If the cat becomes famous, there might be talk shows and demands of organic milk. Truth warns about the "Catmaggedon" that could occur if all of the internet famous cats get cancer from pet owners who smoke.